Chicago-based mobile payments firm AeroPay is preparing to launch and target the local business market. AeroPay says it was created to solve the problems many local businesses face with in-store payments – namely “cash can be easily stolen and credit card fees are expensive”. Its app allows a customer to pay a business directly, without a third-party processor. The business authorises payment, then the customer confirms the final amount. Once confirmed, the transfer is initiated and the money is in the businesses bank account “within a day”. According to AeroPay, banks take up to 5% of every credit or debit card payment. In its version, businesses never pay more than 1%. In a tweet on 18 June, the start-up says the beta version of its app is almost live. It is also calling for sign ups. AeroPay was founded by Daniel Muller (CEO). 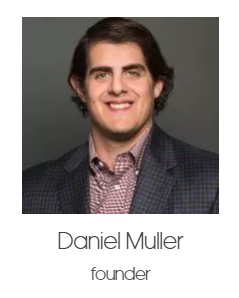 His experience includes VP of software development and product at mobile platform GPShopper, which was sold to Synchrony Financial. Moshiko Gadot (CTO) is listed as AeroPay’s “co-founder”. He has worked as a senior developer at ClickBank in Idaho; and as a consultant for California-based Phizzle, a customer data platform.